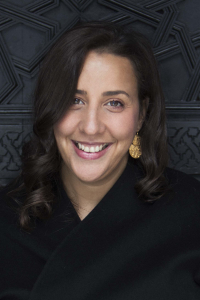 Touria El Glaoui was listed amongst the 100 most powerful women in Africa by Forbes; amongst the 50 most powerful women in Africa by Jeune Afrique in 2015 and in 2018; and the 100 most influential Africans in business by New African in 2013. She is the Founding Director of leading international art fair, 1-54 Contemporary African Art Fair, which takes place in London, New York and Marrakech every year. Born and raised in Morocco, El Glaoui completed her education in New York before beginning a career in the banking industry as a wealth management consultant. After 10 years she relocated to London, where she initiated 1-54 in 2013. Parallel to her career, Touria has organised and co-curated exhibitions of her father’s work, Moroccan artist Hassan El Glaoui, in London and Morocco. She has spoken widely and chaired numerous discussions on contemporary African art and women in leadership at international organisations. Touria is also on the advisory board of Christie’s Education in London.